" Introducing The Year Of The Dragon!" FREEPORT, Grand Bahama Island- With a history of more than 2,500 years, the sport of dragon boating will officially be introduced to The Islands Of The Bahamas as a result of the partnership between the Ministry of Tourism & Aviation (MOTA) and the Florida based dragon boat company, High Five. 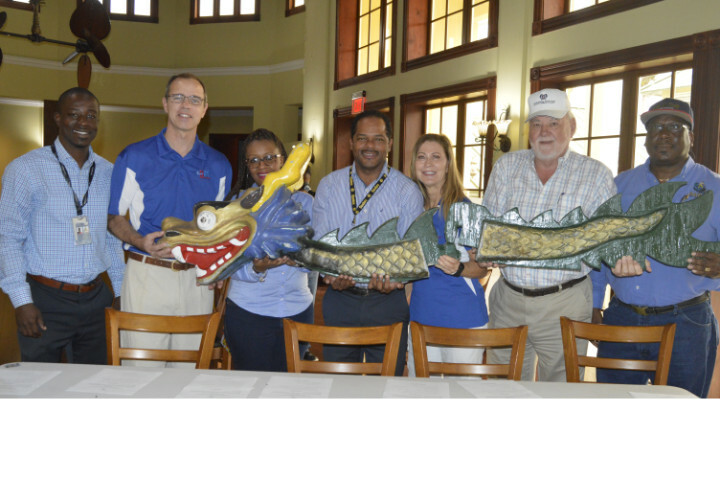 With Junkanoo rush outs, dragon boats, and numerous cultural activities, the event dubbed the Junkanoo Dragon Boat Race and Festival will be the newest event added to MOTA calendar for Grand Bahama Island to date. The event, set to be held at the Grand Bahama Yacht Club on Saturday, April 21st, is expected to attract several teams from the United States and Canada who will all be hosted at the Pelican Bay Hotel. 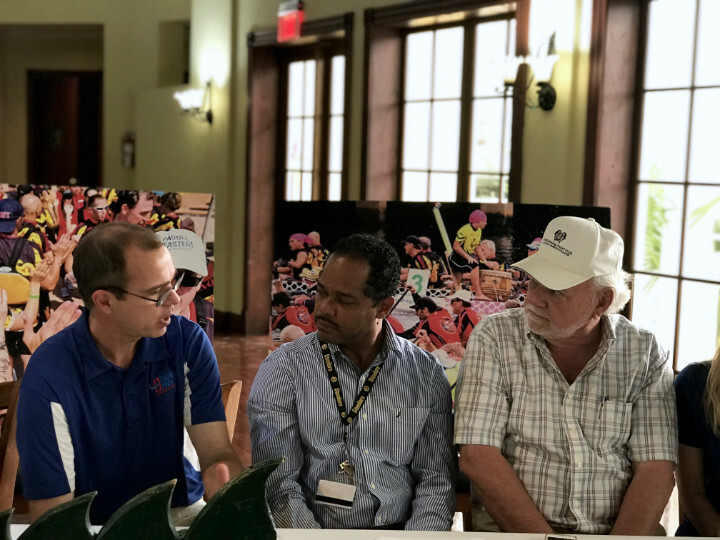 Nuvolari Chotoosingh, Manager, Niche Markets, MOTA, said, "The Ministry of Tourism is pleased and excited to announce the first ever Grand Bahama Junkanoo Dragon Boat Race and Festival. We are anticipating a wonderful and exciting event, [as this is] the first time ever in The Bahamas [that] an event of this nature will be taking place." Joe Sinkovic, CPA President, High Five Dragon Boat Company, said, "We're very excited to bring dragon boat racing here to The Bahamas for the first time. We know that there's a lot of excitement being generated especially in Florida and in the general marketplace for dragon boat teams for Canada and the United States." As a sport that only requires teamwork and communication, groups of 10 or 20 persons are encouraged to register and compete for the first-place prize of this inaugural boat race and festival. Open practice sessions will be offered to resident teams a week prior to the day of competition. Chotoosingh who is asking for the entire Grand Bahama community to support and take ownership of this event said that this is a "Fantastic event on our Ministry of Tourism calendar" which sponsors such as the Pelican Bay Hotel, Grand Bahama Yacht Club, and the Bahamian Brewery are all elated to be a part of. The family-friendly event will begin at 9 am and conclude approximately at 4 pm. Spectators are encouraged to attend with their chairs and picnic amenities to enjoy the unique sport of dragon boat racing. Food vendors and local entertainment will also be on site. For more information visit http:grandbahamadragonboat.com.